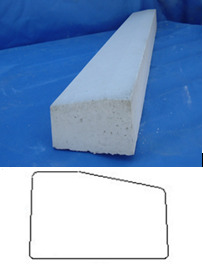 Precast concrete sills are used below windows, ledges, and transitions. They protect the masonry or stucco work and can provide transition between masonry and other exterior finishes. They can also be used as an architectural accents. Straight, inside, and outside corner pieces are available in most sizes. All pieces come with standard ¼" drip edge. Precast concrete lintels are used as headers above windows and doorways. They can be used to highlights differents parts of a building. Lintels come in a plain or rockface finish. 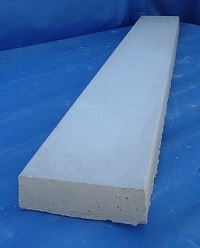 Several of our standard pieces can also be used as lintels. Coping is available in these standard colors and other desired colors. Colors may vary depending on monitor resolution.